The comparison and analysis of large-scale nucleotide and protein sequences have always remained to be a challenging task for the molecular biologists. However, the development of new statistical methods and computational programs has empowered the scientific community to analyze and interpret the features, function, structure, and evolution of biological sequencing data without much difficulty. In this context, the current chapter presents with different sequence alignment approaches including pairwise alignment and multiple sequence alignment and phylogenetic tree construction. 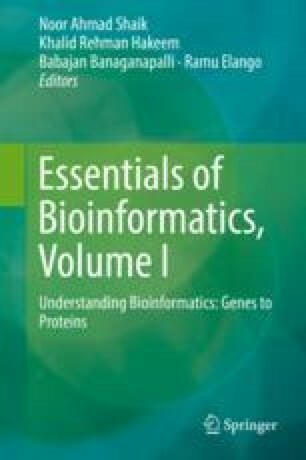 This chapter provides insight into different bioinformatics tools and algorithms along with some basic examples. It also covers the essential topics of sequence analysis for the ease of readers to understand and implement in their regular work. We are thankful to CSIR-CIMAP, Lucknow, India, Dr. Feroz Khan for his support. Authors express special thanks of gratitude to all the world-wide scientists, professors and their contribution in the research, authors also thankful to all the young research scholar community for giving their life to the research and to all parents who supported them with patience.